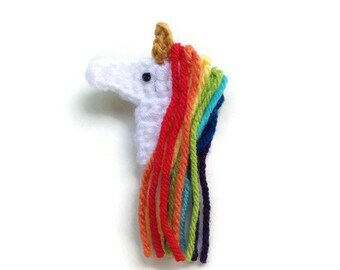 Rainbows and unicorns might be the best match since peanut butter and chocolate. 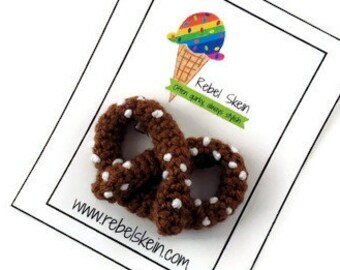 Celebrate your love of these vibrant icons with these quirky crochet hair clips! 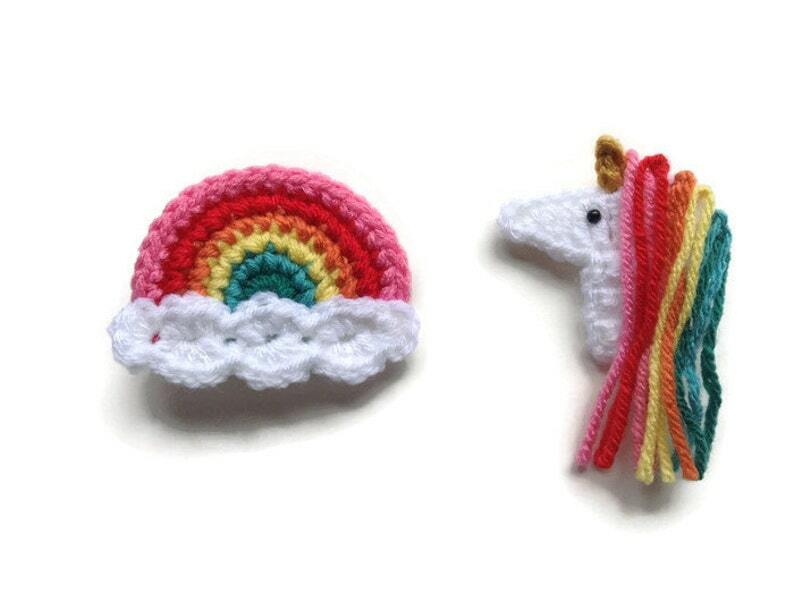 This is a set of two clips- one unicorn and one rainbow. 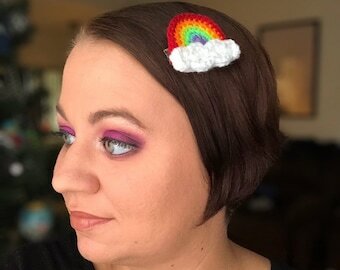 The rainbow colors in these clips aren't your traditional rainbow, but you may choose to customize the colors to a regular rainbow or other colors if you wish. 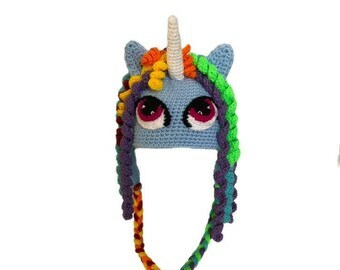 Just select "custom" from the color menu and leave a detailed note at check out with your color choices. 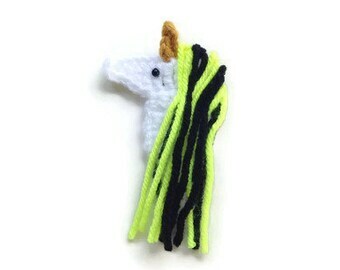 If you have any questions about customizing these hair clips please feel free to message me. 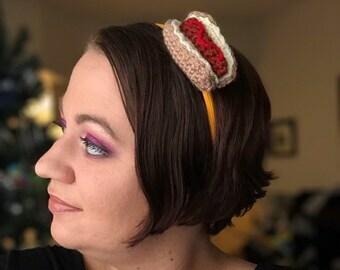 These fun hair clips are hand crocheted with acrylic yarn, backed with felt, and secured onto an alligator clip. 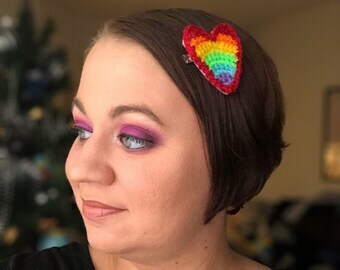 The rainbow barrette measures approximately 2 inches by 2.75 inches. 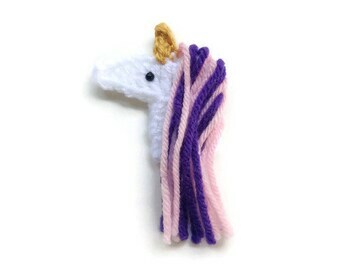 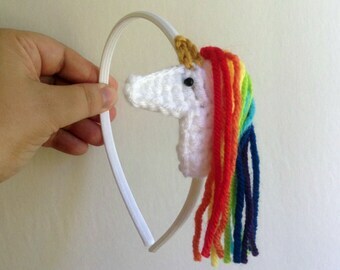 The unicorn barrette measures approximately 2.5 inches across and is 4 inches long from the tip of the horn to the bottom of the mane.